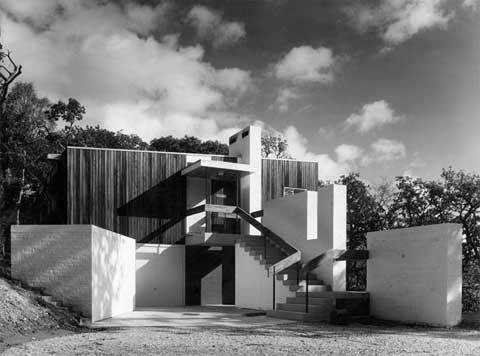 The Spence House was originally built by Sir Basil Spence (1907-1976), one of Britain’s most celebrated modern architects of the post war era. 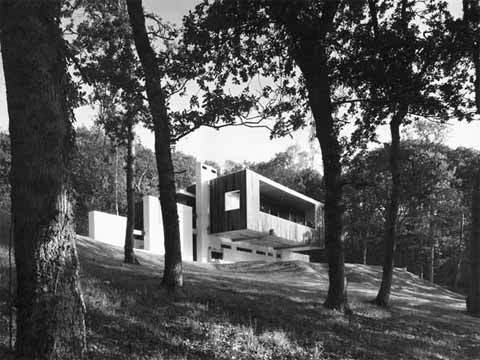 It served as his family’s holiday house on the north bank of the Beaulieu river in Hampshire, UK. 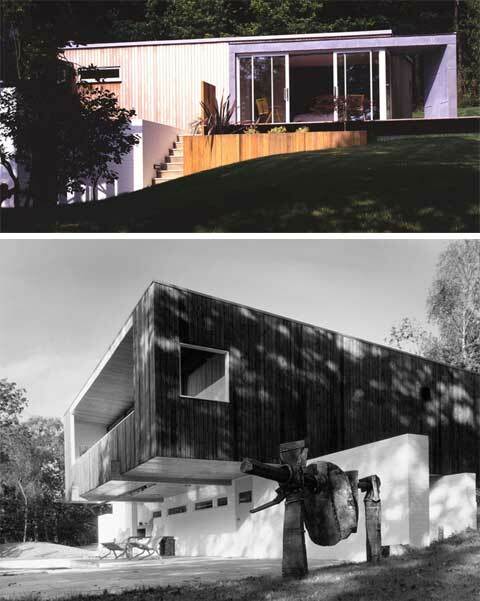 Years later, the current owner of the house required an extension for this 60’s classic in the form of a new ‘wing’ to provide two bedrooms and a bathroom that would link to the main house, which was also completely refurbished. The new cedar clad addition with its large framed opening is designed to celebrate the sunrise and spectacular views down-river. Geometric in design, this beautiful two-story home features an open plan, flat roof and large strip windows. The ground floor is white painted brick, originally designed as a workroom and a storage space for Spence’s boat as he was a keen yachtsman. 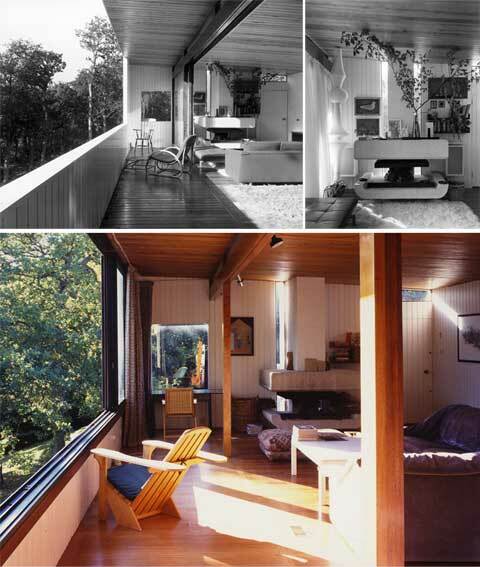 The upper floor is concrete and timber clad. This floor originally had a deep cantilevered balcony overlooking the river, a large open plan living area, a small galley kitchen, and bedrooms and bathrooms to the back. One of the prominent features of the living area is a massive white hammered concrete fireplace designed by Spence himself.